South Sudan President Salva Kiir and opposition leader Riek Machar have signed the final version of a peace deal that promises to end the country’s brutal five-year civil war. 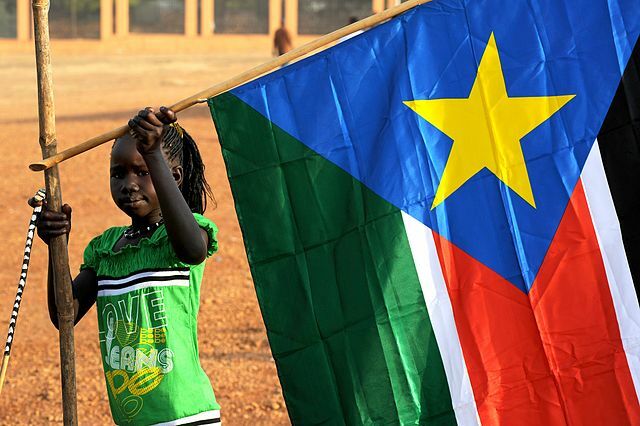 After signing successive draft agreements in recent month, South Sudan’s leaders inked what they called the “final final” version of a peace agreement after 15 long months of negotiations. All previous peace deals between Kiir’s government and Machar’s rebel group have failed but there’s cautious optimism that this latest deal could finally end the conflict in South Sudan. Kiir and Machar exchanged hugs, handshakes and smiles as they signed the final draft of a peace agreement at a summit for regional leaders in Addis Ababa on Wednesday. The event was hosted by Ethiopia Prime Minster Abiy Ahmed, who described the deal as a “historic milestone”. “As we witness this historic milestone, we remember and grieve for the victims of the violence and hope this agreement closes that dark chapter in South Sudan,” the Ethiopian PM said after the signing. Confidence in the ability of South Sudan’s leaders to ensure the peace deal holds is low after years of failed peace agreements, violations and ongoing human rights abuses. However, the ICRC’s global director of operations, Dominik Stillhart, said earlier this week that the latest ceasefire appears to be holding. Another source of cautious optimism is the economic damage the ongoing conflict has caused – something South Sudan’s leaders can’t allow to continue. Both Kiir and Machar’s parties have been accused of profiteering from the conflict which started in 2011, killing tens of thousands of people and forcing more than four million from their homes.